This author has edited the works of the Apostolic Fathers in an English language edition and a Greek/English edition. These are separate works. Michael W. Holmes's book The Two Ways: The Early Christian Vision of Discipleship from the Didache and the Shepherd of Hermas is currently available from LibraryThing Early Reviewers. 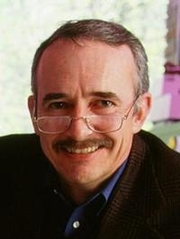 Michael W. Holmes is currently considered a "single author." If one or more works are by a distinct, homonymous authors, go ahead and split the author. Michael W. Holmes is composed of 3 names. You can examine and separate out names.